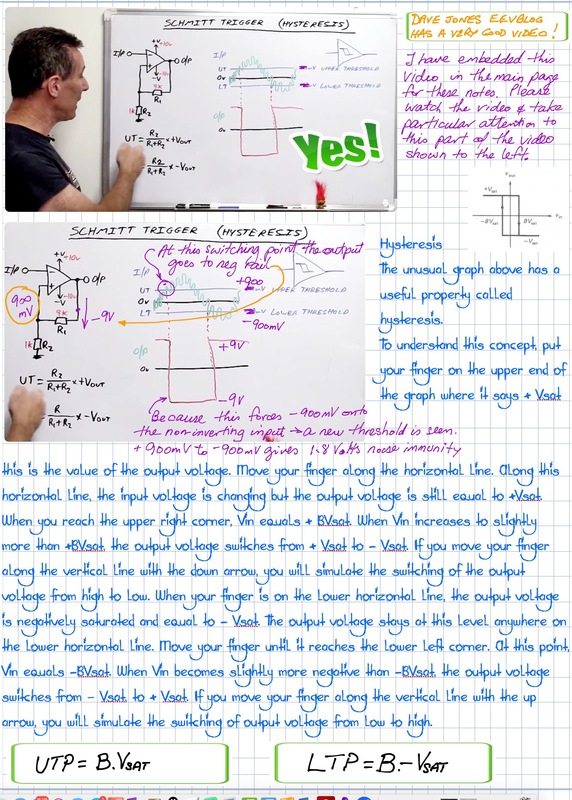 One very important concept to understand with Operational Amplifiers is that of the positive feedback model developed by Otto Schmitt in the 1930’s. Otto Schmitt was born in St. Louis, USA to German immigrant parents and gained a PhD from Washington University in 1937. 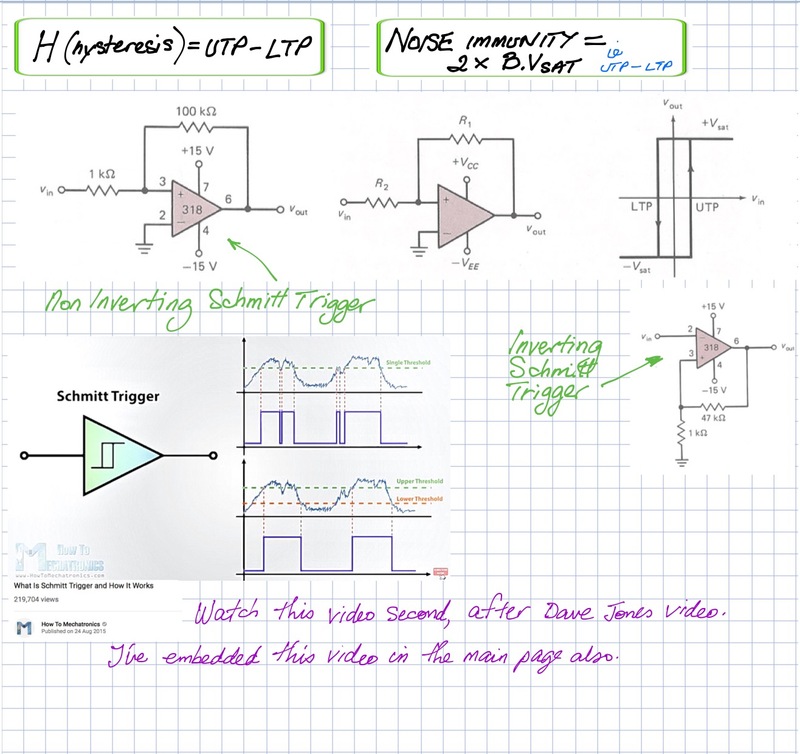 The Schmitt Trigger was designed based on the study of Octopus nerve impulses and is the heart of every analogue to digital conversion in modern day computer systems. 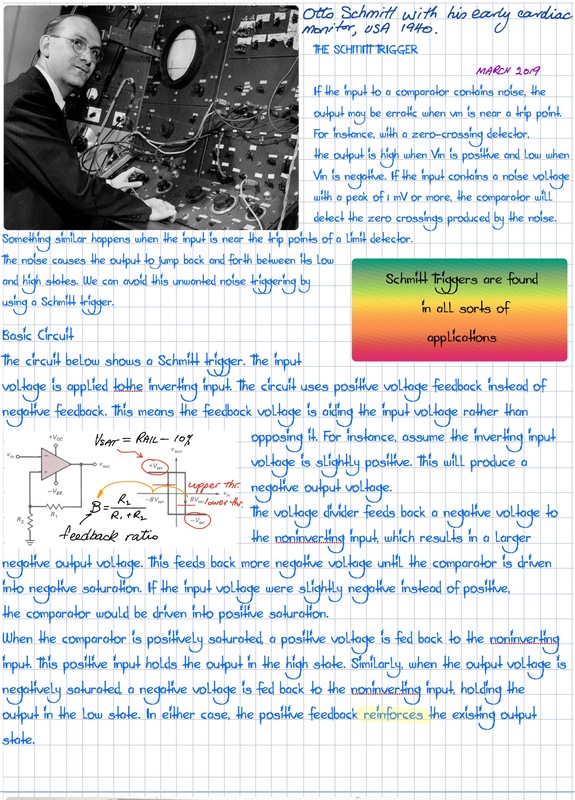 The Schmitt Trigger circuit is closely linked to RADAR which he helped to develop during WW2. A Biophysicist and Electronics Engineer, he was a proponent of telekinesis and worked on that till his death in 1998.